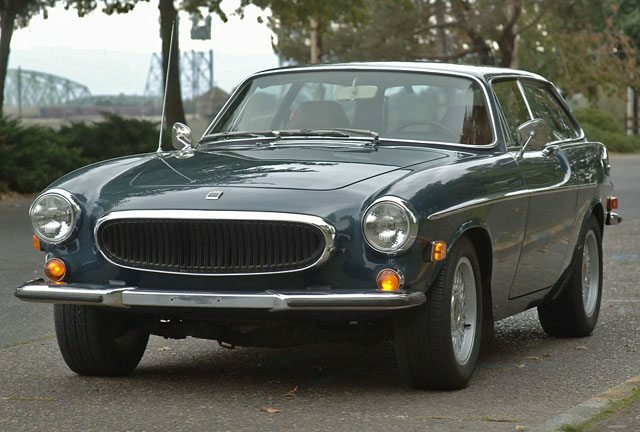 This 1968 Volvo 122S Amazon is a lifetime California car that appear to be very original and solid. A paint job was completed a few years ago and the seller describes it as beautiful. The chrome and trim pieces look nice with a light patina evident. Mileage is listed at 74,205 and although there is no claim of originality it would be hard to believe that the odometer has turned. Listed on Ebay and located in Los Angeles the seller has a BIN for $15,500. Pity the poor father who tries to help his daughter by surprising her with a car. 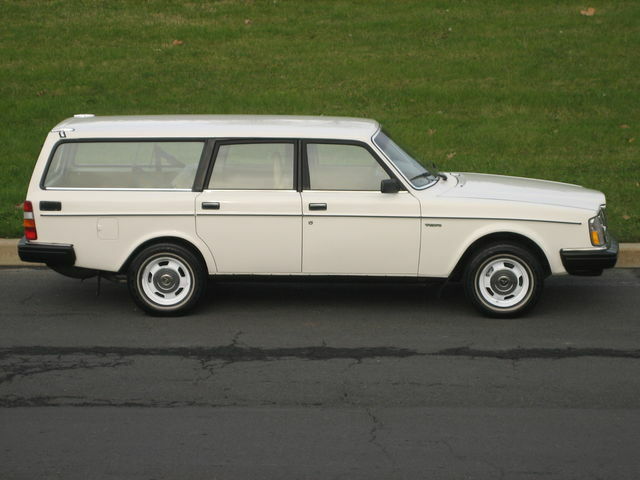 The owner of this Ebay find 1981 Volvo 240 station wagon purchased the car from the original owner with the intention of giving it to his daughter after she obtained her learners permit. Safe, built like a tank and in beautiful shape, it seemed like the perfect gift for a new driver. One look at it from his daughter and she said “Thanks Dad, but NO WAY I’m driving this old mans car”! Well, her loss is going to be some lucky persons gain. 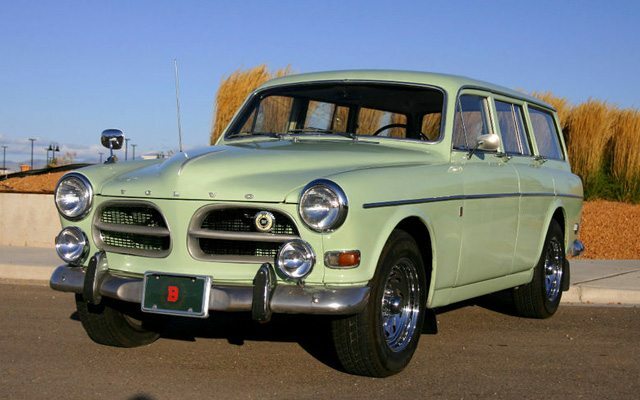 This Volvo is described as one of the nicest Volvo wagons around. The original owner kept the car in meticulous shape and has all the service records to back his claim including a log of every gas purchase from day one. The new owner drove the car 500 miles from Virginia to it’s destination in Vermont without any issues. Here’s hoping Dad makes a few bucks on his good intentions gone awry! 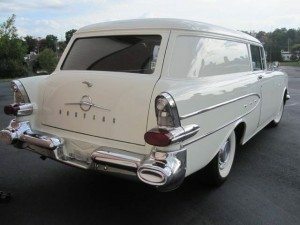 Perhaps the most ominous sign of the death of station wagons in the U.S. was Volvo’s announcement last year that they would no longer be selling station wagons in the States. 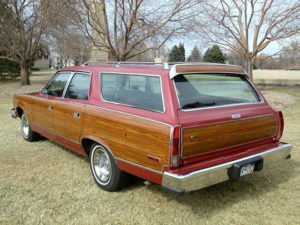 Volvo wagons were the ubiquitous symbol of suburban practicality during the 1980’s only to be slowly overtaken by today’s suburban symbol: the minivan. 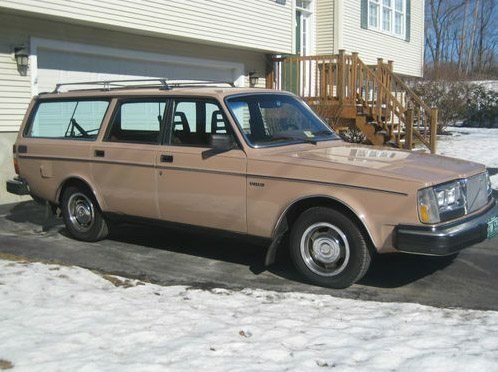 Found on Ebay with no reserve, This 1983 Volvo 250 DL station wagon has just 46,125 original miles. A look at the history report shows that it was driven just 18,667 miles from 1983 through 2006. A base level wagon, the Volvo comes with a 4 cylinder, 4-speed powerplant that is described as smooth and powerful. The seller states that the exterior is in excellent original condition with no major dents or dings. The interior also looks excellent with no visible wear seen in the photos. 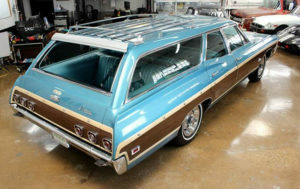 With only two years of production (1972-1973) and beautiful styling the 1800ES is a highly desirable and rare wagon. This 1972 1800Es priced at $9,500 and found at Collector Car Ads looks like a great buy. The seller hasn’t posted a lot of information other than it looks and runs excellent. Based on the pictures, the car is in beautiful condition in and out. Hurry on this one. It won’t last long! Found on Ebay, this 1966 Volvo 122S has a recent interior including seats, dash, door panels, carpet and headliner. The exterior was painted about 20 years ago and although not perfect looks to show well. The seller says the car ‘runs like a top’ and gets 30mpg highway. I’m not a fan of the wheels, but the seller says the original wheels and wheelcovers come with the car. 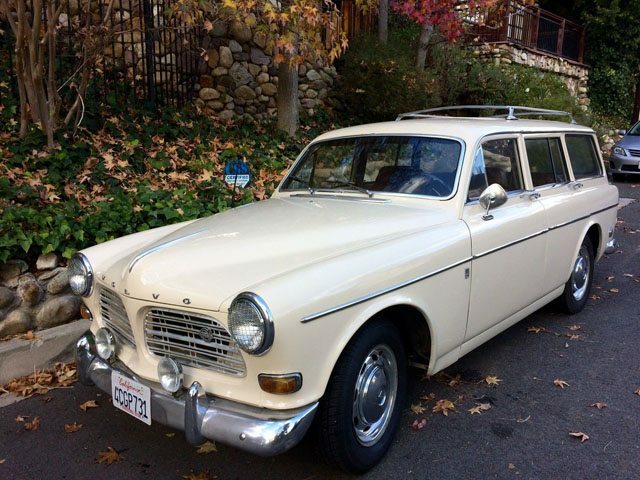 With the reserve already met at $5,700, this Swedish wagon is headed to a new home. 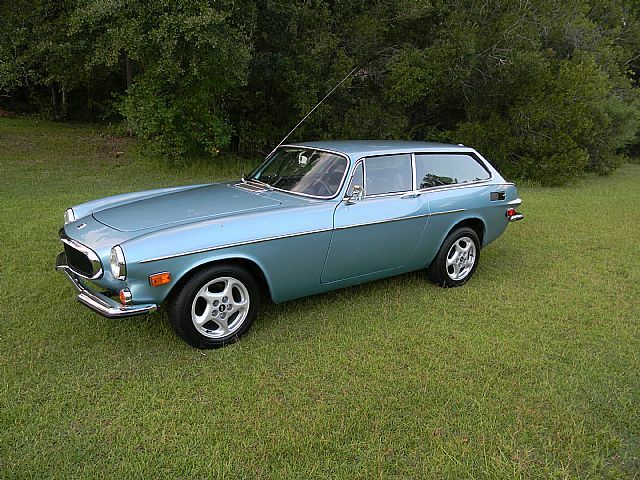 Stylish and rare this fastidiously maintained 1972 Volvo P1800ES was first sold in Eugene, Oregon and has only seen 3 owners in its 38 year existence. Found on Ebay this 131,000 mile example features a 4 speed manual transmission and just 9,000 miles on the engine since a complete rebuild. The car has one high quality repaint in the original color of Sea Green, code 115. One of the nicer feature on the P1800Es is the all glass tailgate that was later seen on the Volvo 480 and the Volvo C30. 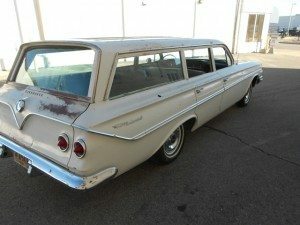 It’s very difficult to find low mileage station wagons but low mileage wagons that are loaded with just about every factory option like this one including a 396V8 are nearly an impossibility. Just 20,986 miles from new this 1968 Caprice can be found in Chicago at Evolve Motors with an ambitious asking price of $54,500.